Old Kuopio Museum consists of a block of eleven old wooden houses. The oldest buildings on the block are from the late 1700s and the youngest from the late 1800s. Their interiors represent living conditions and living styles of different families from the 1800s to the 1930s. In addition, there is a pharmacy house, an exhibition hall and a room dedicated to the renowned local author Minna Canth. Most of the museum buildings are not wheelchair accessible because of staircases, narrow doorways and high thresholds. However, the building consisting of the exhibition hall and conference rooms (building 1) has a wheelchair entrance and a wheelchair accessible restroom. The restroom also has a changing table for our younger visitors. Kuopio was fairly completely a wooden house city until the mid-1900s. The city never had to face widespread fires that destroyed many similar cities in Finland and even bomb strikes during war times didn’t demolish much of Kuopio. The block’s known history begins already in the 1650s even if the oldest of the eleven houses in the museum is from the late 1700s and the youngest from the late 1800s. 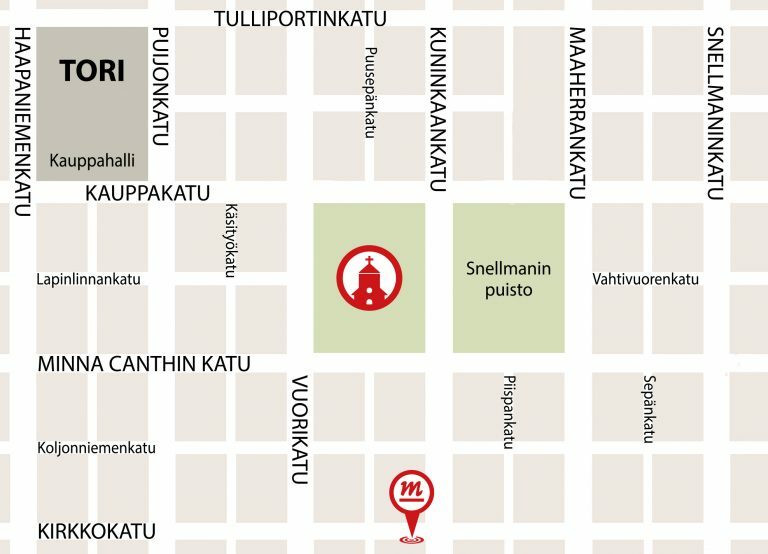 The museum is located in the neighbourhood of oldest urban settlement in Kuopio. One of its typical characters is that both richer and poorer people lived on the same block and this has also given a natural onset for converting it into a versatile museum location. The beginning stages of the founding of Old Kuopio Museum started in the 1960s when there was much public discussion on protecting the built environment since much of the old wood-house Kuopio was disappearing. In 1972, the city made its final decision to found the museum and it was opened in 1982. The pharmacy building was added to the museum complex in the 1990s.